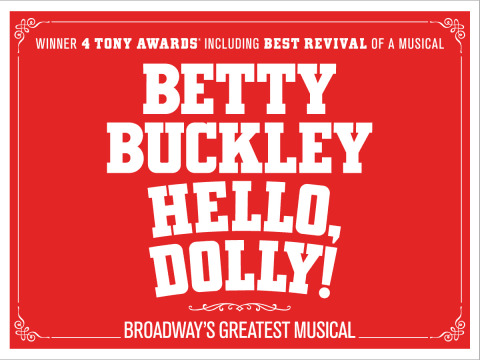 Tony Award®-winning Broadway legend Betty Buckley stars in Hello, Dolly! – the universally acclaimed smash that NPR calls “the best show of the year!” Winner of four Tony Awards® including Best Musical Revival, director Jerry Zaks’ “gorgeous” new production (Vogue) is “making people crazy happy!” (The Washington Post). Breaking box office records week after week and receiving thunderous raves on Broadway, this Hello, Dolly! pays tribute to the original work of legendary director/choreographer Gower Champion – hailed both then and now as one of the greatest stagings in musical theater history. A must-see event. A musical comedy dream. If you’re lucky enough to score a ticket, you’ll be seeing something historic. Wow, wow, wow, indeed! The best show of the year. Join us for this Broadway dance master class which will surely inspire and ignite the dancer in you. FAIRWINDS Broadway in Orlando 18/19 season subscriptions are currently at capacity. Prices, shows, artists, dates and times are subject to change at any time without notice. Every guest entering the theater, including infants and children, requires a ticket. Children under the age of two are not permitted inside the theaters, unless noted otherwise. Parents should use discretion when deciding what shows are appropriate for their children.